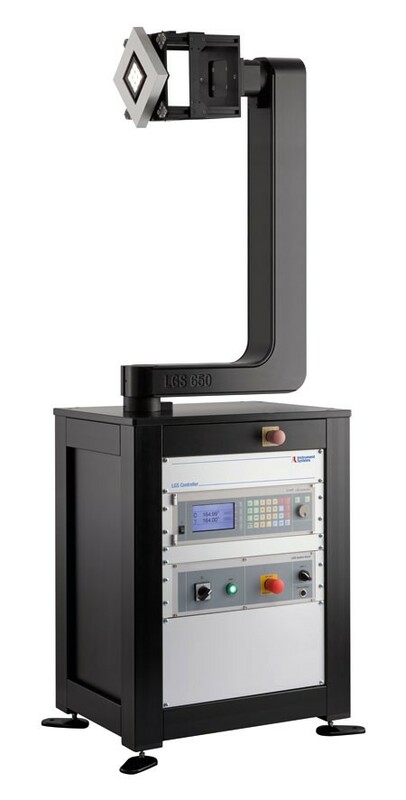 The LGS 650 goniophotometer was developed for the analysis of angle-dependent spatial radiation properties from mid- to large-sized SSL sources and LED modules. The test specimen is operated in a horizontal burning position and measurements can be taken at an angular range of ± 160 ° in the gamma axis. The angular resolution of 0.01 ° enables very fine measuring grids recorded with a high level of accuracy and reproducibility. The LGS 650 is compliant with all relevant specifications in conformity with CIE, DIN and IES standards. The probes may have a diameter up to max. 1300 mm and a maximum weight of 10 kg. Combined with a spectroradiometer, e.g. CAS 140D, from Instrument Systems, all spectral quantities such as color coordinates, color temperature and even color rendering index can be determined as a function of angle. Spectroradiometers offer the distinct advantage that all radiometric, colorimetric or photometric characteristics can be determined with maximum precision. Instrument Systems also supplies very fast photometers, e.g. the newly developed DSP 200, for performing integral measurements. They are recommended for pure photometric measurements and for time critical test sequences. Combined with the LGS 650, the photometers allow “on-the-fly” measurements, meaning the measuring system records the light distribution while the goniometer is moving. The LGS650 is available at Te Lintelo Systems, contact them for full information of this quality product. Our experienced team is fully equipped to assist you with finding your best optical business solution. For more than 33 years TLS represent prominent suppliers from all over the world for the Benelux countries with well-educated engineers, experience and knowledge. Together with our high end suppliers we have the answer for you! TLS is your reliable source and long term partner. Service on all levels is for us our daily business.